Around 2 million Australians sought financial advice in the 12 months to May, accounting for more than 27% of the total wealth management market, according to a report by consultancy firm Roy Morgan. This group accounts for an estimated A$703bn in wealth management products with an average value of about A$360,000. The report found that 1.96 million Australians went to seen a financial adviser to purchase superannuation or managed funds. 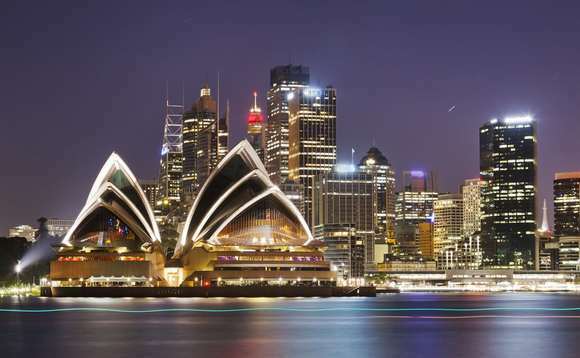 Going deeper into who are these wealthy Australians seeking financial advise, Roy Morgan discovered that one third sat within the top 20% of the market by value. They also account for almost 65% of the total market value of super and managed funds. “This a key segment that requires increased attention and detailed analysis from the major market participants, particularly at a time when there is a lot of talk about them leaving the industry or merging,” the authors of the report said. 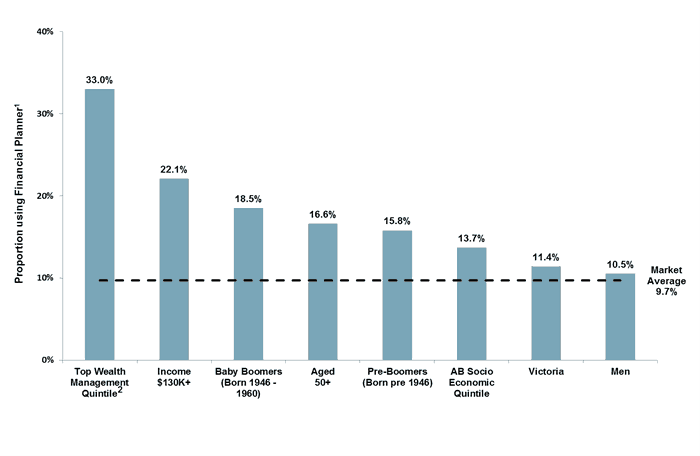 The other groups that have above average use of financial planners/advisors include those with incomes of A$130k or more (22.1%), Baby Boomers (18.5%), those aged 50 and over (16.6%), Pre-Boomers (15.8%) and the AB Socio Economic Quintile (13.7%). More than a third of advised clients went with Commonwealth Bank (34.6%), which is significantly more than ANZ (23.9%), Westpac (23.4%) and NAB (20.7%). While they don’t necessarily use their bank for financial advice, Roy Morgan notes that the continuing trend of banks exiting wealth management could see a shift in these figures. “With a great deal of activity in the financial planning market involving the major players to either exit or merge, it is important to focus on the high value customers at this time due to the very large skew to the top quintile. In other words there is obviously a valuable opportunity to understand this segment that controls nearly two thirds of the wealth management market value and also likely to have considerable other banking and financial needs outside of wealth management,” Roy Morgan industry communications director, Norman Morris, said.